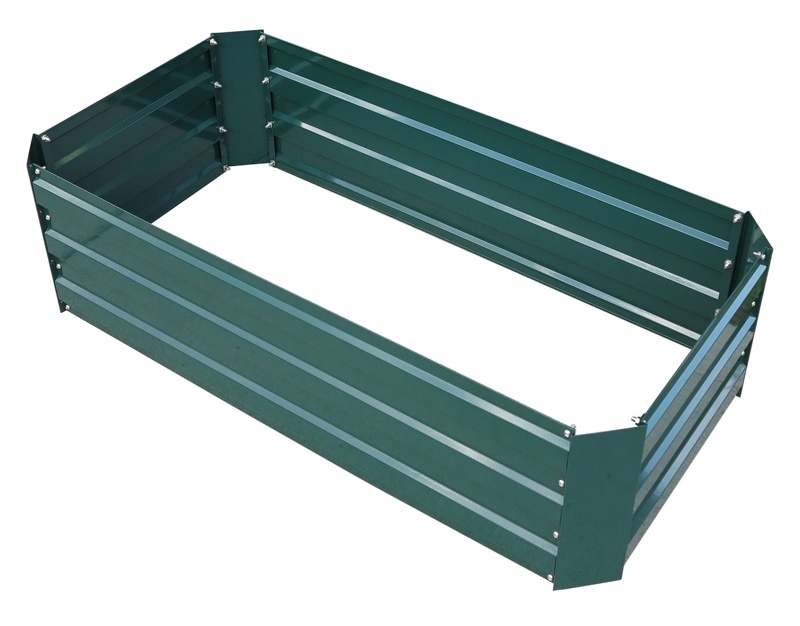 Grandio Raised Garden Bed Powder Coated Green. Grow anything with the Grandio Raised Garden Bed! Specially designed to fit inside the Grandio Greenhouse perfectly or use your imagination and place on patios, apartment stoops, rooftops or the garden. 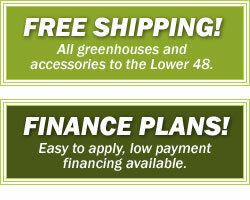 Growing just got easier with the Grandio Raised Garden Beds! The special design allows the Raised Garden Bed to fit inside Grandio Greenhouses perfectly and has no sharp edges. • Dimensions: 43.3" x 21.6" x 11.8"
• Ships easily weiging 17 lbs. • Box Dimensions: 44" x 13" x 2"